"To save this world, you asked this man to die. Monday April 28th was an unusually chilly wet morning in Sag Harbor, New York, even for April, our "cruelest month." 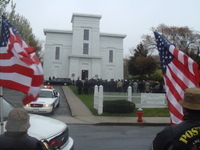 But that didn't prevent more than a third of Sag Harbor's 2,200 year-around residents from lining the flag-lined streets and filling the Old Whalers' Church to capacity to mourn the loss of US Marine Lance Corporal Jordan C. Haerter, age 19. Even apart from the drizzle, there was hardly a dry eye in the village. The Rev. Steven Howarth offered a moving recollection of Jordan's short life, describing his popularity, impatience with book learning, determination to learn to fly at 16 and to join the military at 17, and his courage under fire. The minister asked the crowd to take comfort in the fact that Jordan would undoubtedly be granted eternal life in the after-world. After the service, a long cortege made its way slowly to Oakland Cemetery, where Jordan Haerter was buried with full military honors, accompanied by his family, dozens of classmates, scores of police, firemen, Marines in dress uniform, local American Legion members, and a squadron of motorcyclists from an organization called the Patriotic Guard. More than a hundred school children from Jordan's former elementary school stood in the rain across from the church, carrying little star-spangled American flags and signs that read, "We will remember." Every local newspaper, radio station, and TV station in the Hamptons carried extensive coverage of the funeral and Jordan's story. Everyone agreed that Jordan had behaved courageously in Iraq, and that his death was a tragic loss for the whole community. Standing in the rain that day, and at the wake the afternoon before, I found myself struggling with very mixed emotions about this young man's death. On the one hand, I was proud of his courage and sacrifice. On the other, I couldn't help wondering why on earth he had decided to enlist and serve in a war that for many years has been so discredited. Who was responsible for that? Was this only George Bush's war, or do we all bear some responsibility for the fact that young men and women from all across this country -- not to mention scores of Iraqis -- continue to die every day? Given the fact that bad wars will continue to be a reality, what special responsibility do military recruiters, high school principles, teachers, guidance counselors, religious and political leaders, veterans, and other leaders in the community bear for at least making sure that the Jordan Haerters of this world make truly-informed decisions when they enlist? Less than one week earlier, Jordan had become another statistic in the seemly-interminable Iraq War. At approximately 7:30 a.m. Baghdad time on April 22nd, Jordan and another Marine had been killed by a suicide bomber at a military checkpoint in Ramadi, the capital of Anbar Province in Iraq. Two Iraqi policemen and 24 other Iraqis were also injured in the incident. According to military sources, Haerter, an ace rifleman -- his platoon's "high shooter" -- was credited with shooting the driver of the bomb-laden truck before it detonated, quite possibly saving the lives of more than 30 Marines and Iraqis who were standing nearby. Haerter became Sag Harbor's first Iraq War casualty, and indeed, its first combat fatality since World War II. He was also the first Suffolk County resident, 31st Long Islander, 203rd New Yorker, 4053rd American soldier (plus 186 contractors), and 253rd American 19-year old to die in Iraq since the US-backed invasion in March 2003. Jordan had been in Iraq just one month, on his very first trip ever outside the US. Jordan, a life-long Sag Harbor resident, was the only child of Christian Haerter and JoAnn Lyles, who had been divorced in the 1990s. Christian, 50, ran a water treatment business and JoAnn, with whom Jordan lived, worked at a building supply company. Jordan's grandfather Werner, a tool-and-die maker at the local Bulova Watch plant until it closed in 1981, had emigrated to Sag Harbor from Germany by way of Canada in 1953. He died in 1994, when Jordan was four. Jordan was reportedly a well-liked, pretty conventional teenager with average-to-good grades and a bit of a willful streak. According to local newspaper accounts, his passions were for driving a small outboard motor boat on Peconic Bay, hanging out with his friends, driving his 1991 Toyota 4Runner on muddy back-trails around Sag Harbor, and eating his grandmother Lilly Haerter's spaetzle and home-grown blueberries. There was also flying. According to a widely-repeated story about Jordan, at age 16, he'd started taking flying lessons on his own, even though he had not informed his parents and was not yet old enough to legally drive himself to airport. Jordan was just as single-minded about joining the Marines. He and a high school classmate -- Josh DiStefano, one of his closest friends -- entered the US Marine Corps together in September 2006, just three months after graduating from Sag Harbor's Pierson High School, and one month after Jordan turned 18. 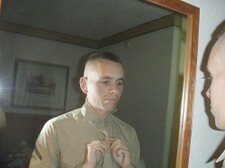 According to another close friend, Jordan had met a Marine recruiter at Pierson's annual "Career Day" that spring. Soon after, at a meeting with a high school guidance counselor, he stunned his mother with the news that he had decided to join the Marines. At the time Jordan was still just 17, so his parents still had to sign off on his four-year commitment to the Marines' delayed-entry program. They did so reluctantly, but without much opposition -- they'd always encouraged Jordan to be action-oriented and to get a "real world" education. Jordan apparently used the enlistment bonus that he collected from the Marines to buy a new Dodge Ram pickup truck -- the same truck that his friend Josh would drive in Jordan's April 28th funeral procession. WHERE WERE THE WARNING LABELS? Jordan's reasons for joining the Marines are not entirely clear. Of course most young men his age are now avoiding military service like the plague. That is one reason why there has been a crisis in military recruiting. This, in turn, is partly because the five-year old Iraq War is by now widely regarded by most Americans as an unmitigated fiasco, none of whose official justifications -- WMDs, Saddam's supposed ties to Al Qaeda, "democratization," or even the value of controlling Iraq's oil supplies -- have held up. At best we are now down to a faith-based argument about whether things will be more or less disastrous if we exit the country now rather than at some ill-defined time in the future -- not exactly an inspiring ground for enlisting. What is clear that Iraq is a very dangerous way to spend one's youth. Not only have there been more than 4075 US military fatalities, but there have also been at least 30,000 Americans physically wounded, 3000-5000 of whom have injuries so severe that they probably would have died in earlier wars that lacked today's rapid medical evacuations. According to a RAND study released in April, 31.7 percent, or 520,000 of the 1.64 million American military personnel who have served in Iraq or Afghanistan since 2001 also suffer from "post-traumatic stress syndrome" (PTSD), depression, and/or "traumatic brain injury" (TBI) induced by explosive devices. These "less visible" injuries have not only contributed to a surge in suicides by US military personnel -- an estimated 6000 suicides in 2005 alone, growing at 20 percent in 2006-2007, with more than 12,000 attempts each year. Thus the number of Iraq-related suicide deaths in the American military far exceeds the number of combat deaths. 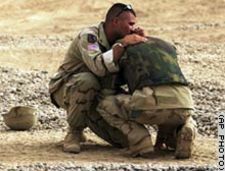 These mental injuries also impose a high cost on the families and friends of returning veterans, especially given the acute shortage of psychiatric care for returning veterans and their families. The Rand study found that only about half of those with such conditions were getting treatment, and half of those who have been treated got inadequate treatment. Some cynics have even suggested that the military's understatement of these problems is partly due to the fact that the US military is so dependent on "voluntary" reenlistment that it is afraid to focus on PTSD and TBI -- both of which are amplified by the long tours of duty that troops are facing. There is also evidence that such battlefield risks are systematically understated by recruiters, who are under severe pressure to fill quotas. Certainly there are is nothing comparable to the hazard warnings, "truth in lending," and SEC anti-fraud disclosure notices attached to, say, cigarette packages, drug prescriptions, car purchases, mortgages, and private equity investments that apply to these life-and-death enlistment decisions by 17-19 year olds. This has lead to widespread demands for new "truth in recruiting" standards, and restrictions on recruiter access to the nation's public high schools. Finally, from an economic standpoint, military service -- now entirely voluntary, except for the "stop-loss" orders that has affected more than 80,000 reservists -- is simply not very competitive, as discussed below. Unless a student has virtually no civilian job alternatives, and either can't get into college at all or can't afford to go, the military is likely to be a losing economic proposition, unless it somehow plays a role in some longer-term career plan (see below). 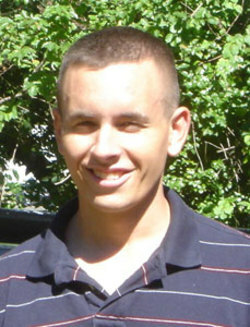 As noted, Jordan's family says that his decision to join the Marines came as a complete surprise. While other family members had served in the military, there was no tradition of volunteering for duty in Jordan's family. His grandfather Werner, whom Jordan had known as a child, had been drafted into the German Army in World War II, and his other grandfather John Lyle had been drafted into the US Army. Jordan's father Christian had never served. He spoke no foreign languages and, as noted, he'd never traveled outside the US. In high school, he'd shown no particular interest in world events or history. Although he appears to have supported the War after enlisting, he'd never expressed strong feelings about the Iraq War before doing so. From age five on, Jordan had enjoyed playing shoot-'em-up games on the computer, which he would later actually compare with some of his experiences in the military. He'd also insisted that his Halloween costumes, meticulously designed by his mother, be accurate copies of those worn by soldiers in America's Revolutionary War. 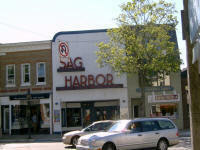 But such interests didn't differ all that much from those of any other Sag Harbor boys. Nor does it seem that Jordan's decision to enlist in the Marines for the minimum term of four years strictly a matter of short-term job opportunities. True, he had probably received a small ($10,000 or less) signing bounty for enlisting. At the time of his death, however, Lance Cpl Haerter's "E-3" pay grade was earning him just $19,044 a year before taxes, plus food and housing allowances. By his fourth year in the service, depending on his rank, that might have increased to $25,000 per year at most -- less than $12 per hour. But that wage rate should have been easy for Jordan to beat in the Hamptons. What appears more likely is that Jordan's decision to enlist was part of a longer-term career plan, which tended to understate the risks of being a Marine in Iraq, and overstate the chances of using military service as a stepping stone. His family says that after his four-year commitment to the Marines, he intended to join the Sag Harbor Village Police Department, get married, and eventually take over his father's water treatment business. For the first 18 months of Jordan's enlistment, this plan appeared to be on track. He was assigned to "the Walking Dead," Alpha Company, First Battalion, the 9th Marine Regiment out of Camp LeJeune, North Carolina. which had served with distinction in Vietnam, Korea, and World War II. After boot camp at Parris Island in South Carolina and another year of training at Camp LeJeune and in northern Virginia and California, he was sent to Iraq in March 2008. Once there, things also seemed to go well at first. On Monday April 21, the very day before his death, Jordan's mother received a letter from him, in which Jordan reported that Iraq was "easier than I expected," and assured her that he would take care to return home safely.